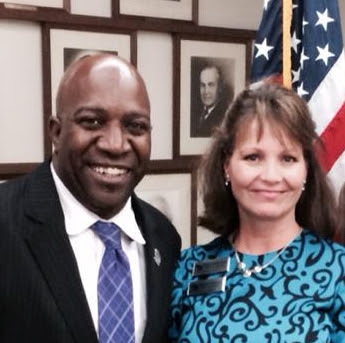 JUNE 6, 2015 – SREC MEETING IS NOW AVAILABLE ON YOU TUBE!!! 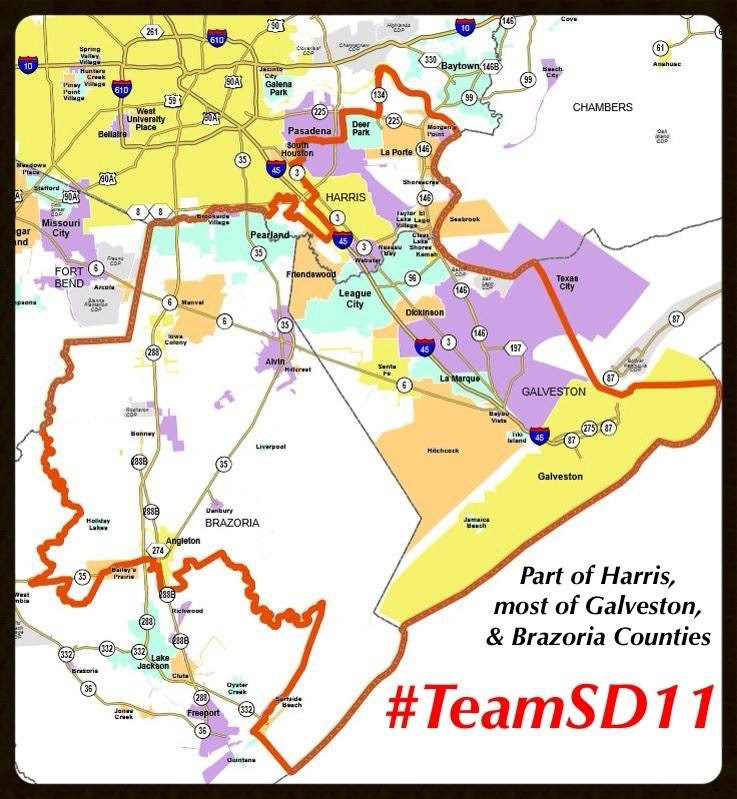 #TeamSD11 Town Hall Call, Ya’ll! You are INVITED to our 1st Quarterly Town Hall Meeting! It’s that time! Please join us in sharing what is happening in our district, learn what happened at the last Republican Party of TX SREC meeting also some challenges we’re facing, and meet other like minded friends. Who knows, you may meet a block walking, or phone banking, buddy……or maybe even an elected representative, or two! Please RSVP so we may have plenty of printed material for you. We look forward to seeing you at our first TX Senate District 11 Town Hall meeting! PS Are you ready for some fun this election? Take part in the #iVotedEarlyTXGOP #KeepTXRed Challenge! We cannot wait to see some of your videos & pictures! One of the primary actions at the State Convention is to elect new SD 11 State Republican Executive Committee (SREC) members to take office immediately upon the close of the convention. There are nine (9) candidates running for this office. Come and hear each candidate tell you why he or she is the best for the position. These are the people that will be making all the important decisions of the Texas Republican Party until the next convention. Incumbent SD11 SREC committeewoman Sheryl Berg will bring you up to speed on the duties and responsibilities of the office. Following Sheryl will be a presentation by each candidate. Come listen and learn. Precinct Chairs should inform delegates in their precincts about this forum. Remember Board Elections will be held during this meeting! Come join us and of course, invite your friends. Wayne Christian has fought the EPA from Al Gore to Obama and brings to the table two decades of ﬁghting for conservative causes and winning. As your next Railroad Commissioner, he will use his experience as both a legislator and a businessman to ensure the “Texas Miracle” is alive for generations to come. Throughout his time in the legislature, Wayne Christian was ranked not only consistently conservative, but literally as the most conservative legislator in Texas. Serving as President of the Texas Conservative Coalition and dubbed by many as the “General” of the Texas Tea Party, Christian provided valuable leadership that led to many of the victories that have made Texas so great. 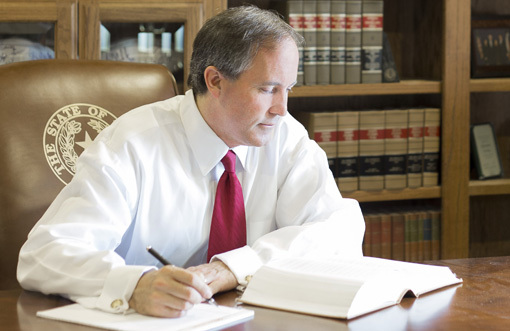 Texas is the last, great hope against complete federal intrusion and the office of Attorney General is the front line of defense in that battle. This office is the line in the sand – the only thing standing between President Obama and the State of Texas. As the first legal line of defense against the federal government’s quest for control over our lives, the office of the Attorney General is the “tip of the spear” in this crucial battle. That’s why it is critical that the next Attorney General be a trusted, committed, constitutional conservative – someone Texans know they can count on to demonstrate political courage, regardless of the personal consequences. What area does Clear Lake Area Republicans include? Our membership is primarily from southeast Harris County, north Galveston County and northeast Brazoria County. This map gives you a pretty good indication. The red star appears close to our meeting location. Barry Smitherman was appointed to the Railroad Commission of Texas in July 2011. Barry, a fourth generation Texan, has a unique blend of private and public sector experience and has long served the people of Texas with honor and distinction. What area does Clear Lake Area Republicans include ~ Our membership is primarily from southeast Harris County, north Galveston County and northeast Brazoria County. This map gives you a pretty good indication. The red star appears close to our meeting location.